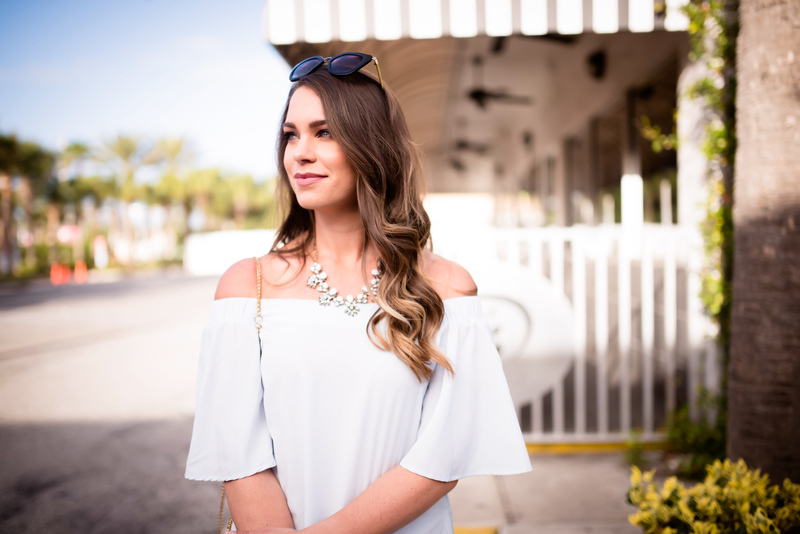 Off the shoulder tops and dresses are huge for the spring and summer months, incorporate bows and ruffles if you want to stay on trend. I LOVE off the shoulder pieces, I it’s so flattering on the neckline. I’ve rounded up some of my favorite OTS items below. Ahhh I love a good statement earring! 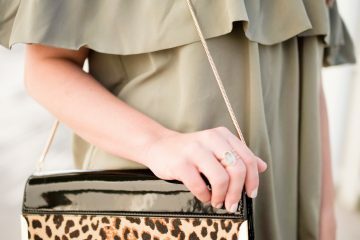 Sometimes I hate when a necklace gets all stuck on or under your dress or shirt, but a statement earrings you never have to worry about! 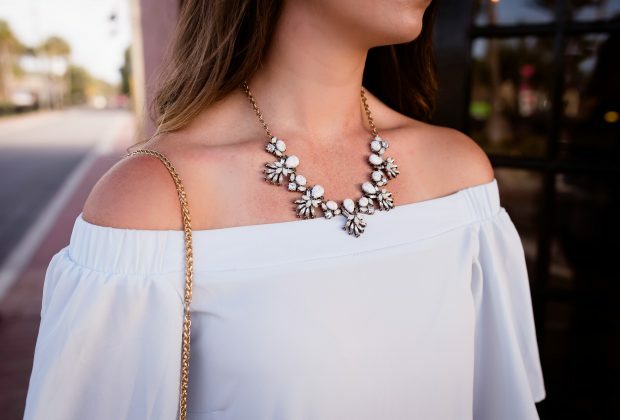 Baublebar always has great statement pieces at really affordable prices. The trend on sunglasses come and go, my best advice is to splurge on the classics. I have a pair of RayBan wayfarers I’ve had for 4 years. The trendier sunglasses- I’d stick to spending under $50. BP, Quay, A.J. Morgan- these are all sunglasses that are under that price tag, yet still super trendy and really well made. 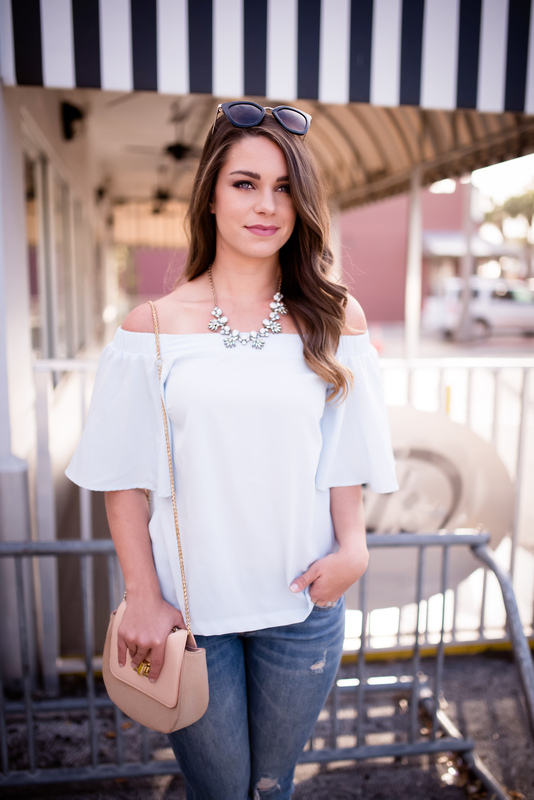 I am loving this trend for Spring! My mom has a gorgeous floral applique handbag that she’s been using this spring (might need to steal that too 😉 ) but this trend falls in line with the statement earrings as well. Basically anything with florals, floral embroidery, or “3D” floral pieces on your bags, shoes, clothes, etc… is going to be in this spring. Yes please to all of these! I love the mule trend! I can’t wait to go shopping for Spring shoes!